The goodness of the food at Rams Indian & Sri Lankan Food is proven by the long queue extending all the way from the counter to the door. I had heard about it from one of my husband's friends and wanted to try their food before believing whether the rave compliments were hyped or justly right. Tucked away in an unassuming arcade on Henley street in Homebush West, the shop was nothing showy as one would have otherwise guessed given its fan-following. 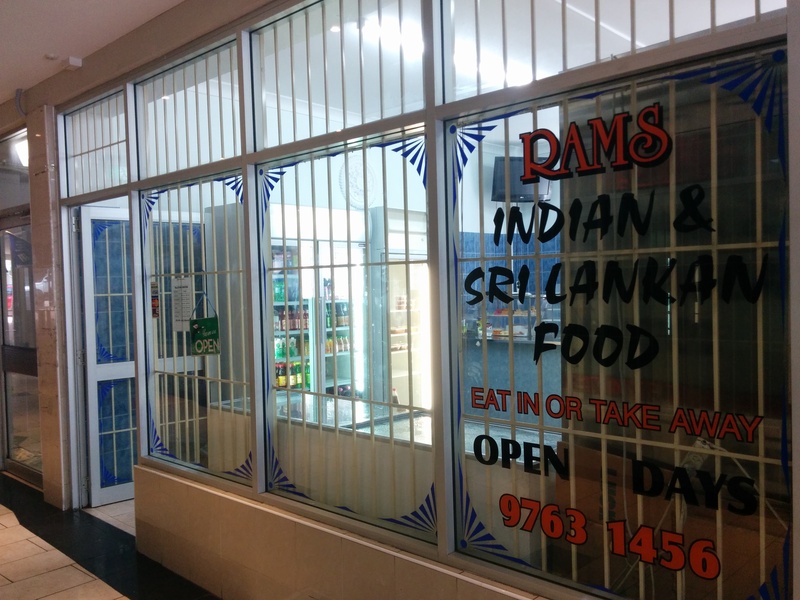 Located opposite the Flemington station, Rams can be your stop for some fresh homemade snack before embarking on the fresh produce hunt at Paddy's Market or after shopping your way through the Sydney Market crowd. I ordered idlis (steamed rice and black gram cakes)and my husband got dosai(black gram and rice pancakes). We were happy to see the quantity (10 big idlis and 4 dosai). 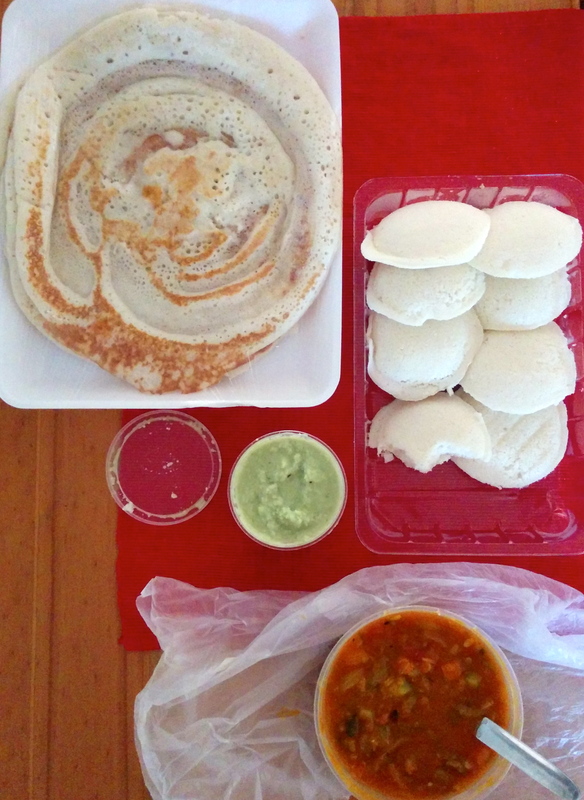 Chutney(coconut and coriander dip) and sambhar(vegetable lentil soup) came with idli and only sambhar with the dosai. The taste blew our minds away. Both the food items were heavenly- soft, fresh and utterly delicious. The chutney was impeccably flavorful and the sambhar, which usually is broth-like with just traces of vegetables in most restaurants, was thick and abounding in tomatoes, zucchini, onion, squash and carrots. Given the quantity and quality, the food was surprisingly cheap. 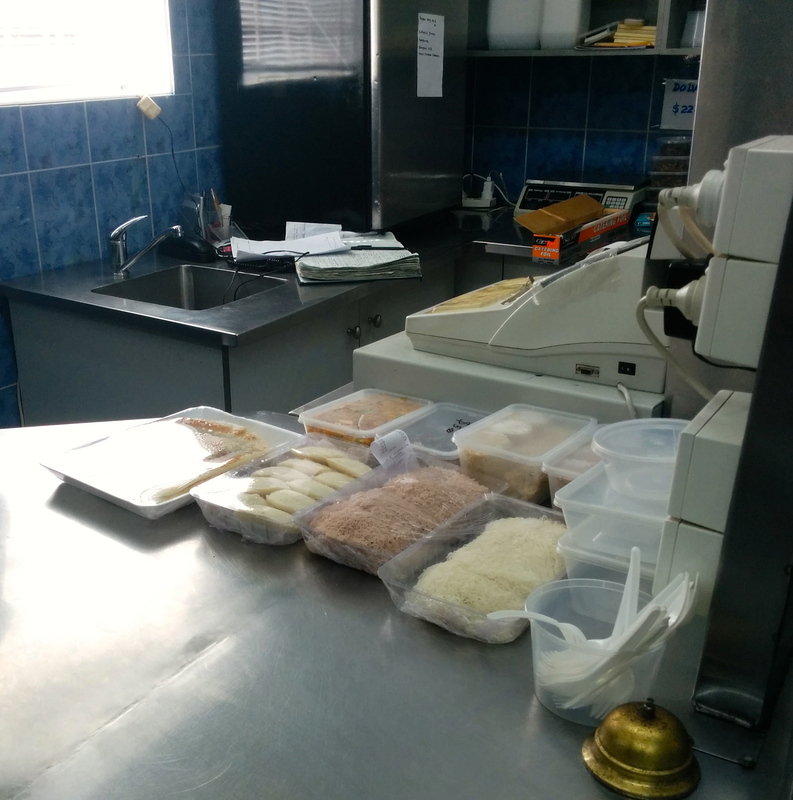 The meals or brunch like idli, dosai, biryanis and lamprise are sold pre-packed at $7 each. The latter two being their weekend specials. The biryani looked spicy and mouth-watering and the lamprise was rice served with sambal( a spicy vegetable relish), an eggplant dish and an onion mix with a vegetable croquette. 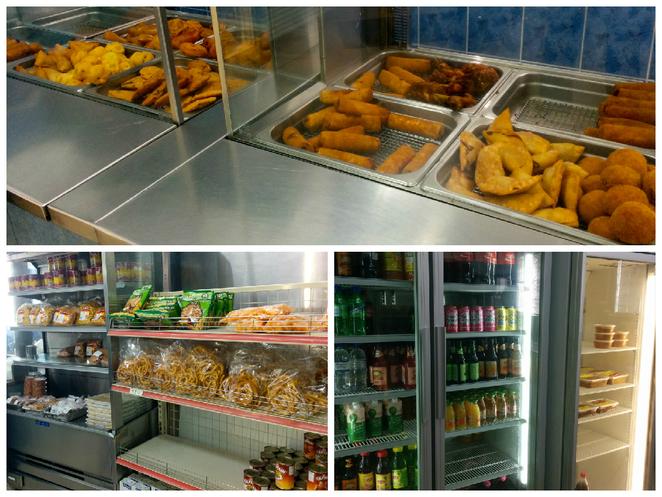 At Rams they also sell different varieties of fried snacks like samosas, vadas, rolls and cutlets as well as Indian snack mixes along with roti and string hoppers. The store is open 6 days a week from Tuesday to Sunday. So next time if you want to get a taste of Indian and Sri Lankan food and are looking for a place to grab some healthy delight then Rams is the place to stop by and savor the goodness of Indian and Sri Lankan snack. All that fried stuff dont look too healthy to me but other stuff looks nice.